Princess Eugenie and Kate Middleton have similar engagement rings – here’s why! Cape Town - Princess Eugenie will be saying “I do” to her prince charming Jack Brooksbank in a fancy ceremony at Windsor Castle. And while everyone is comparing Eugenie’s wedding to Prince Harry and Meghan’s lavish affair, some royal fanatics have noticed the similarity between Eugenie’s and Catherine’s engagement rings. The Princess of York’s ring is a large pink padparadscha sapphire surrounded by 10 perfectly cut diamonds with two cut diamonds at the shoulders, while the Duchess of Cambridge’s ring has a large royal blue sapphire, which is also surrounded by diamonds, Mirror News reports. “Although Princess Eugenie’s engagement ring is reminiscent of Catherine’s with the large centre sapphire and diamond surround, it’s a classic design for a royal engagement ring and not likely an intentional similarity,” royal commentator Eloise Parker said. According to Parker, Eugenie’s ring wasn’t intended to be a copy of Catherine’s ring, which originally belonged to Princess Diana. 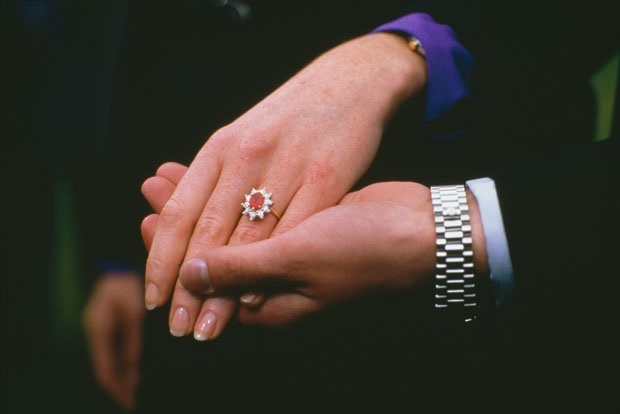 Instead, Jack wanted Eugenie’s ring to be a copy of the one her dad, Prince Andrew, gave her mom, Sarah, Duchess of York, Marie Claire reports. “If it’s inspired by a previous royal engagement ring, it’s more likely to be the one worn by her mother, which was a red Burmese ruby with a diamond surround,” Parker explains. Jamie Samhan, the deputy editor at Royal Central, revealed that the rings also look the same because both Fergie and Princess Di’s rings were created by the same designer. “The reason that they look very much the same is that Diana’s ring was [created] by Garrard & Co in 1981 and Sarah’s ring was from the same designer a few short years later in 1986,” said Samhan. “Prince Andrew did personally design the ring that was given to Fergie, compared to Diana’s that was from the collection, but most designers tend to stick to a signature style. Princess Eugenie and Jack’s wedding will take place at St George’s chapel – where Meghan and Harry also tied the knot – in front of 800 guests on Friday, 12 October, the Express reports. After the ceremony, Queen Elizabeth will host a reception for the newlyweds and their guests at Windsor Castle.